The SYSTEM_THREAD_EXCEPTION_NOT_HANDLED is a BSOD error that is generally caused by faulty drivers, especially graphics drivers. The bug check value of this BSOD error is 0x0000007. The error gives the name of the driver that caused the problem. Getting a BSOD error is always frustrating, but don’t worry we have some solutions that can help you fix the issue. Try the listed solutions one by one, until the problem is solved. If the SYSTEM_THREAD_EXCEPTION_NOT_HANDLED error is followed by nvlddmkm.sys, it points towards NVIDIA driver file. If you notice igdkmd64.sys after the error message, it points towards Intel Graphics Kernel Mode driver. Generally, if there is conflict in drivers, Windows operating system will generate a BSOD error. You can use the Event Viewer to find the conflicting driver and then update the driver by downloading the latest driver from the Internet. Here are the steps to follow. You can locate System Thread Exception Not Handled error by “Date and Time”. You can either update drivers manually or automatically. Here is how to do it. Manual Drivers update – To manually update drivers you need to go the hardware manufacturer website and look for latest driver updates available that are compatible with your Windows system. You have to be careful when downloading drivers manually and pay attention to things like Windows version and Windows architecture (32-bit or 64-bit). Manually updating drivers is a time-consuming task that needs patience and some expertise as well. 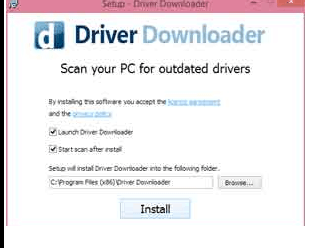 If you are looking for simple way to update drivers, try Driver Downloader software that can update all drivers automatically. Automatic Drivers update- Driver Downloader will scan for missing, outdated, and corrupt drivers on your windows system and update all drivers automatically. With Driver Downloader, you are not required to visit manufacturer’s website to find the newest drivers, nor are you required to know Windows version and Windows architecture. 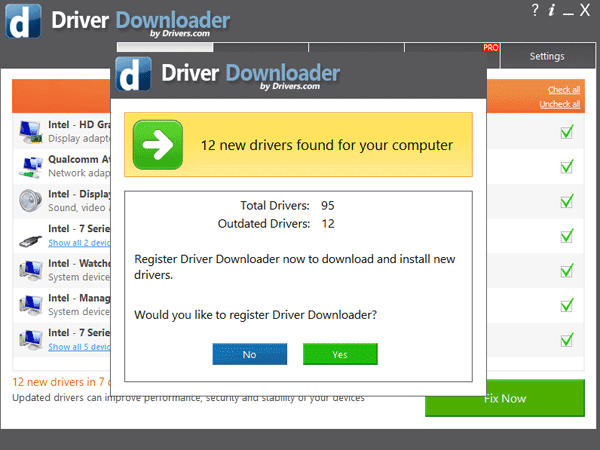 With Driver Downloader, the possibility of downloading wrong drivers is completely eliminated. Here are the steps to use Driver Downloader to update all drivers automatically. Click Start Download to download Driver Downloader. If you select Run option, the browser will start downloading Driver Downloader setup file and you will get an install pop-up after the file is downloaded. If you select Save option, the browser will download the Driver Downloader file to the Downloads folder. To start the installation, you have to browse to the Downloads folder and double-click on the setup file. 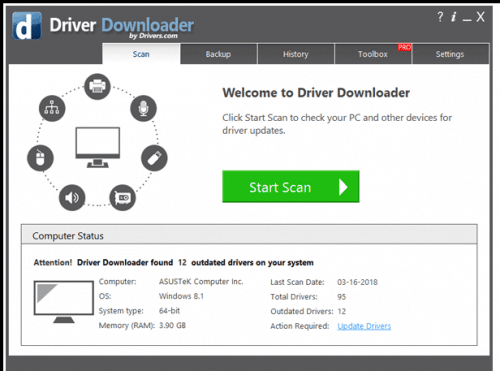 After Driver Downloader is installed, it will scan your system for missing and outdated drivers and present you with the information of the drivers that need to be updated. You will also get an option to update all drivers on your Windows system with a single click. To update BIOS you need to go to the motherboard manufacturer’s website and check for the BIOS update. Before you go to the motherboard’s manufacturer website, you need to know the model name or number. If you are not aware of the product name of the motherboard, follow the steps given below to get that information. Most motherboard manufacturers offer different ways to update BIOS. Go to motherboard manufacturer website, select your motherboard model and look for the BIOS update available. You will have two options – download executable file or zip file. The instructions to install BIOS update is given on the website. Note down the instructions for the BIOS update method you want to follow. Windows 10 does not work with old hardware. If you have upgraded to Windows 10, you need to check whether your computer has any incompatible hardware installed. You can get more information about supported hardware in Windows 10 specifications.